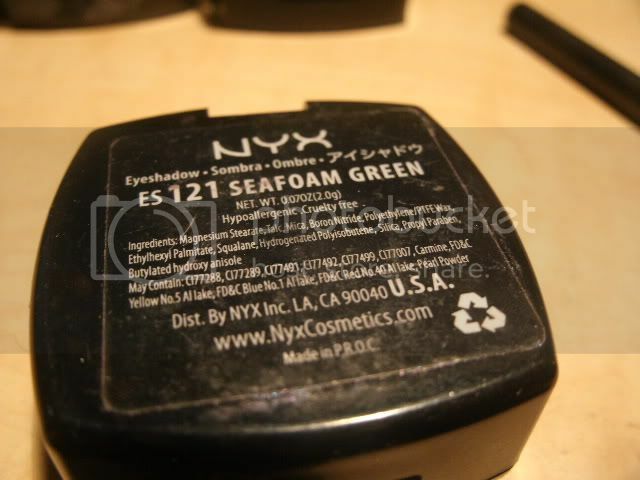 NYX is by far the best affordable brand of makeup. 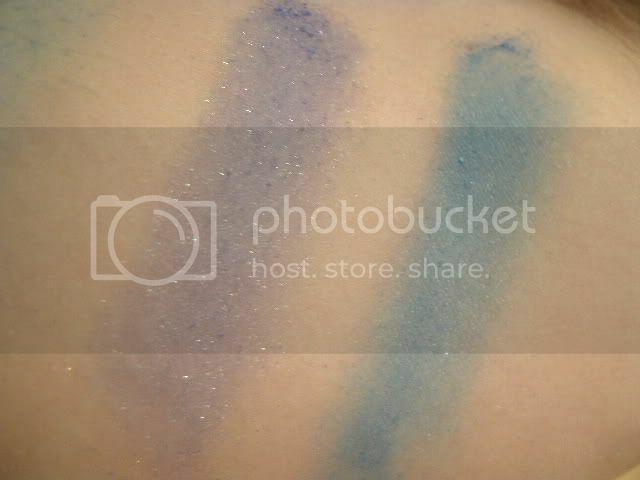 You can't go wrong with high pigmented eyeshadows for $6, instead of buying $18+ for a single pan. 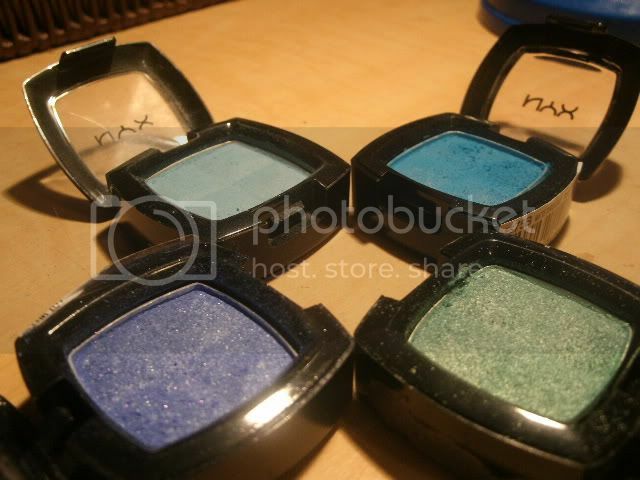 These eyeshadows are colourful, and easy to blend. 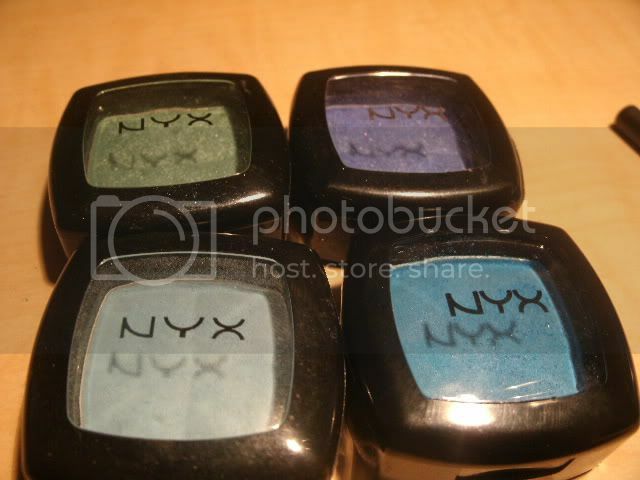 I picked out four of my "blueish" tones to review first. 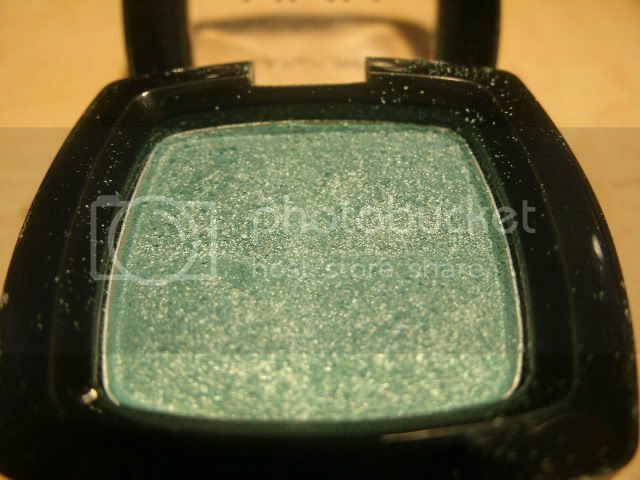 #121 Seafoam Green: Is a greenish blue with shimmer. 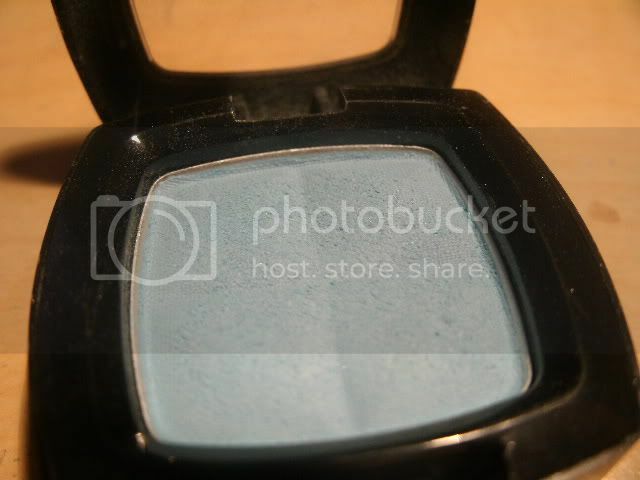 This particular shade is not very pigmented. 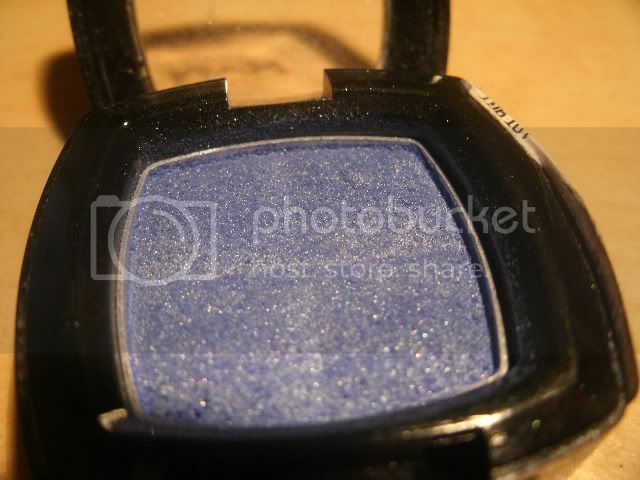 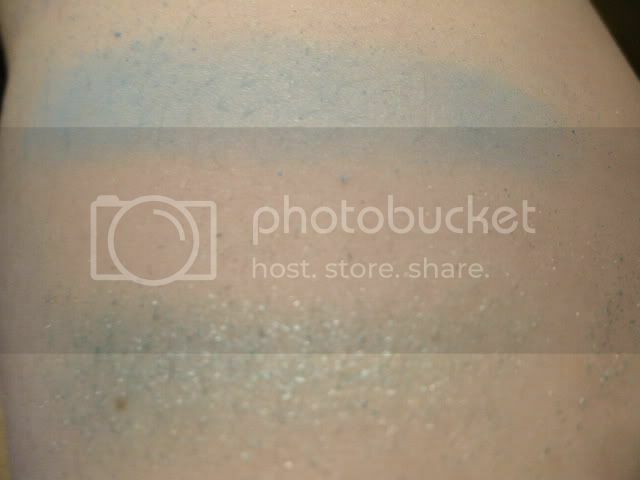 Use this eyeshadow with a blue or green base for good colour payoff. 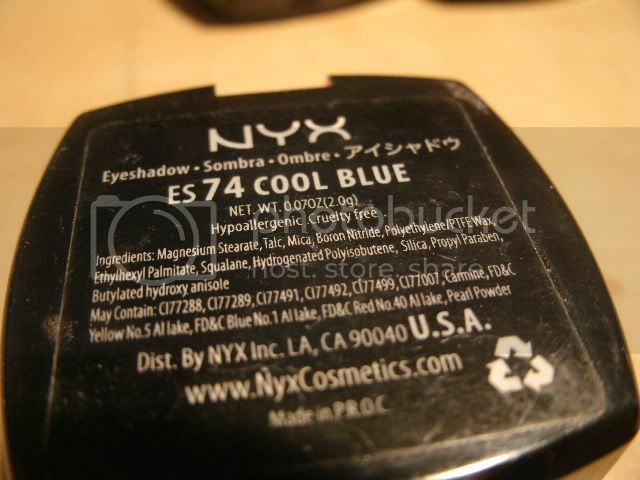 #74 Cool Blue: Is a light sky blue colour. 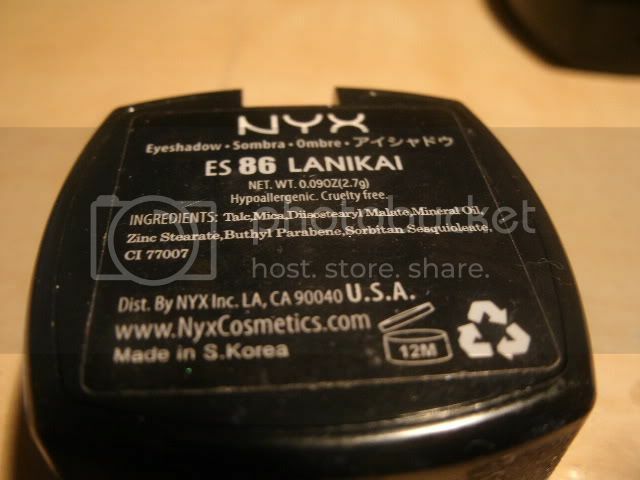 #86 Lanikai: Is a deep, ocean blue with shimmer. 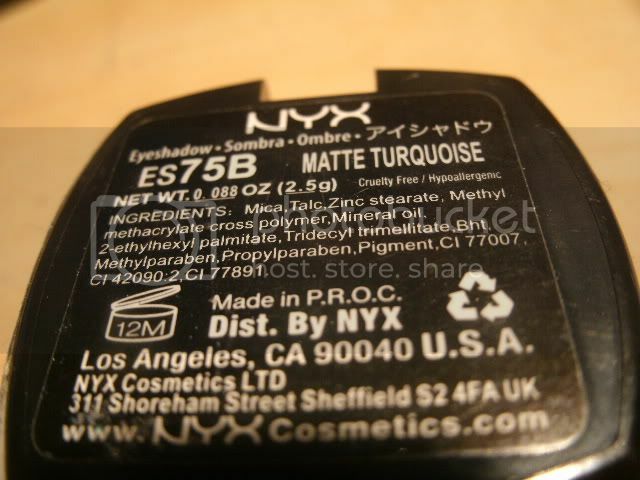 #75 Matte Turquoise: Is a bright turquoise. 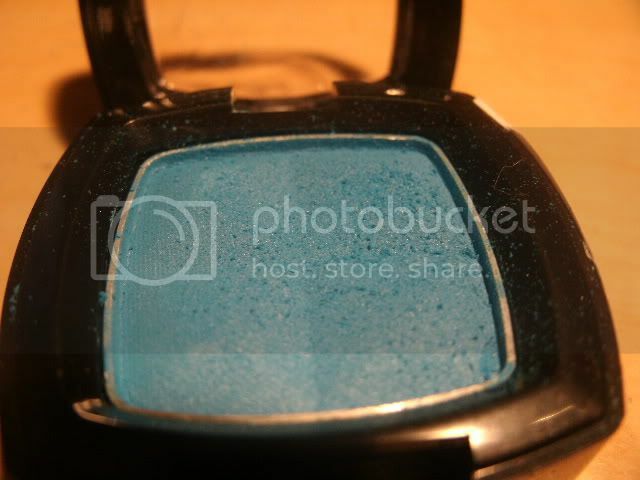 This eyeshadow is very well pigmented.